A walk through all my favourite techniques: Swiveling Elements, Thread Decor, Translucent Layers, Shadowboxes and many more. By the end of the class you will have a nice stash of different beads and elements that you can combine to your own unique piece of jewelry. Jewelry construction will also play a big part in this class. 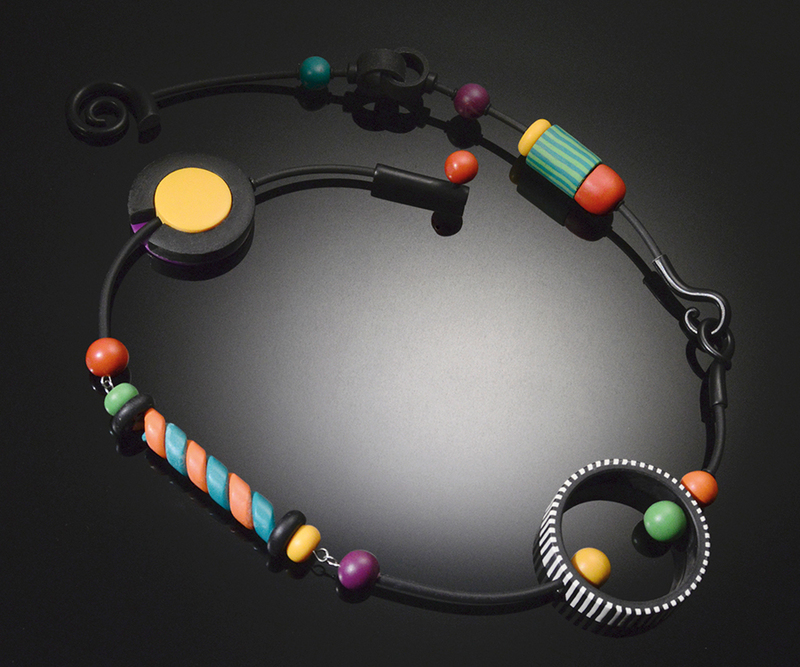 This class teaches the whole construction process for a bracelet where the hinge is entirely made from polymer clay and that is closed with inlayed magnets. It will give you a hint of how to work as exact and neatly as possible to achieve a perfectly shaped and finished piece of jewelry. This is an advanced class and the students should be familiar with conditioning, color mixing and basic bracelet construction (e.g. simple bangles). I love texture and I have created a new line of texture stamps as a result! 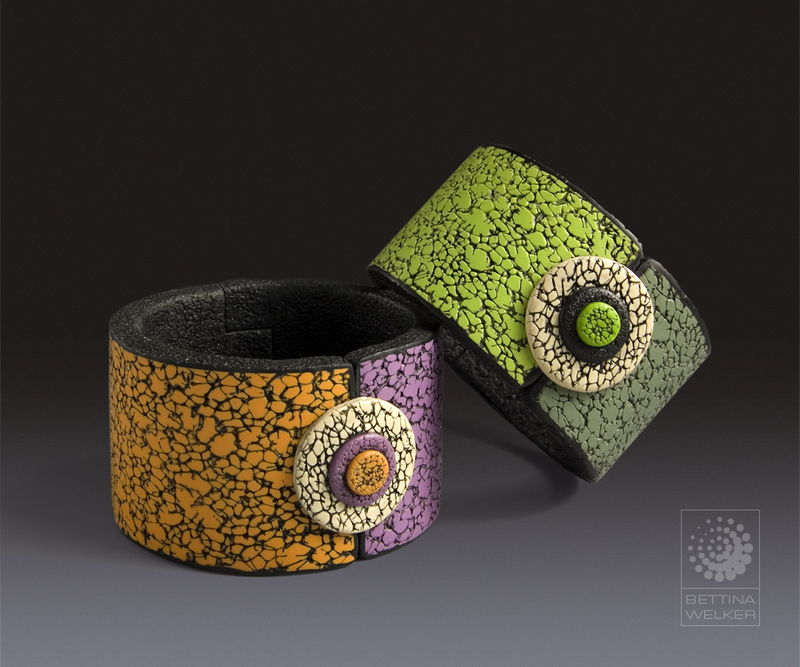 In this bracelet class, I introduce those textures to you along with two different effects you can achieve with them! You can easily use your own textures for this piece, or perhaps mix and match some of your own with mine. Either way, the results will be stunning, and your bracelet is sure to be a real eye catcher! 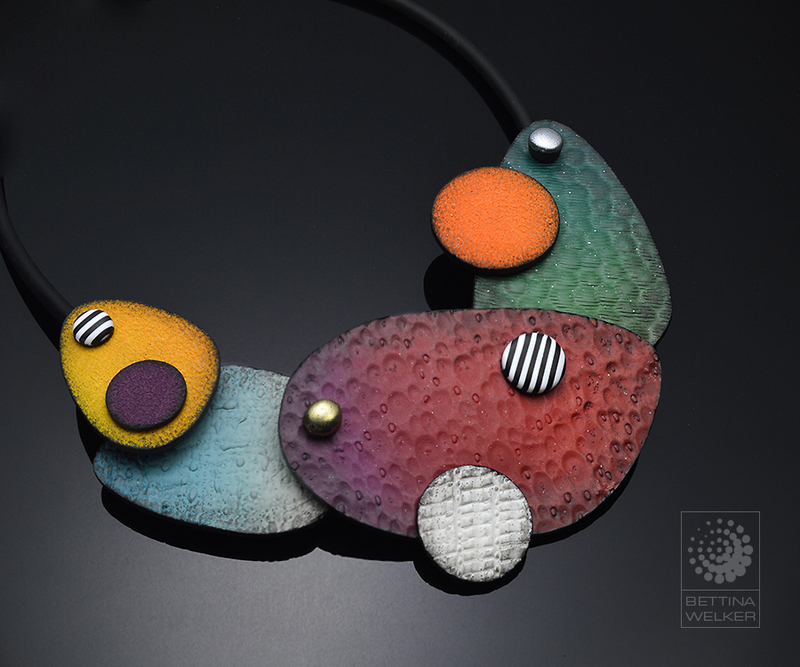 Play with color and texture as you create a stunning jewelry piece. 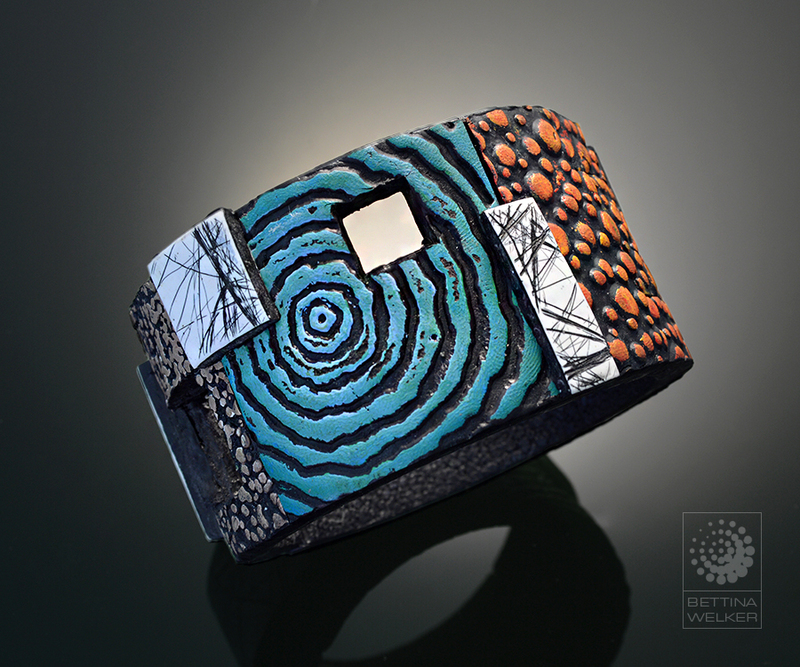 This bold bangle is actually a cuff with a hidden magnetic clasp. You will learn so many terrific surface and construction techniques in this class that you can apply to other pieces as well! 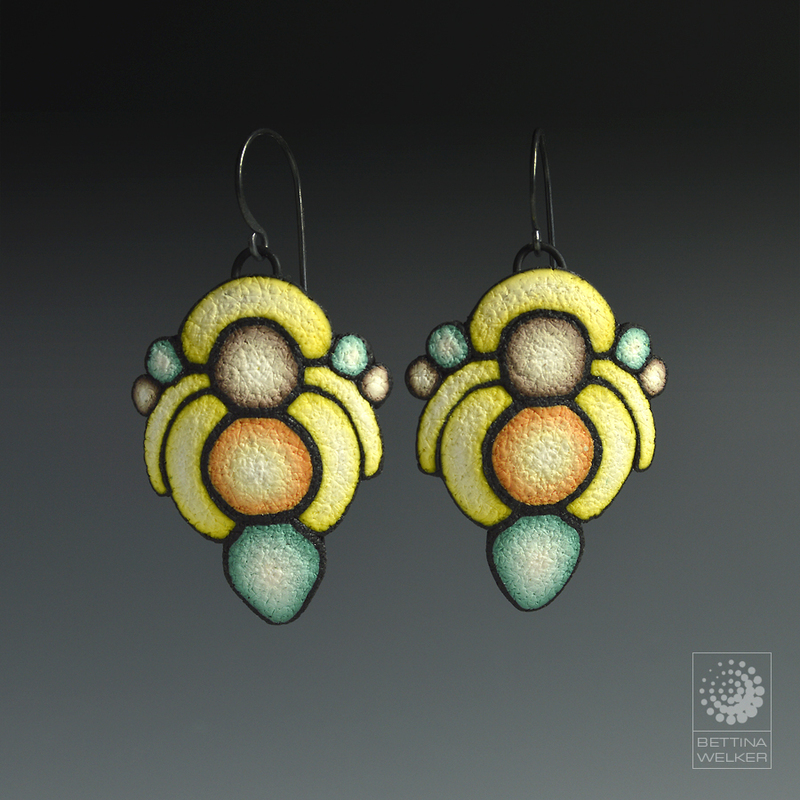 Join me for a two-day workshop experience giving you an in-depth view on different ideas and techniques for clasps and connections in Polymer Clay. 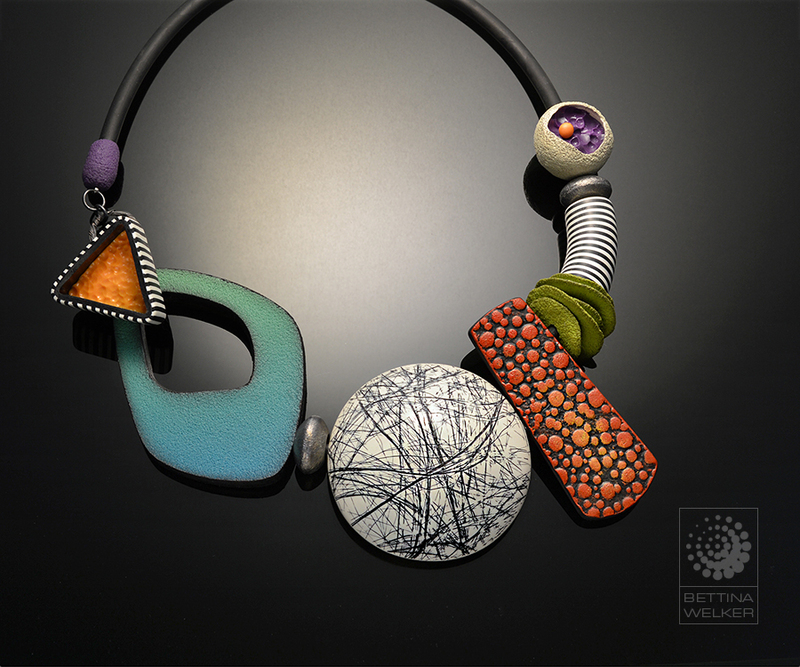 If you’re tired of buying boring and expensive clasps for your polymer jewelry, then this is definitely a class you shouldn’t miss. 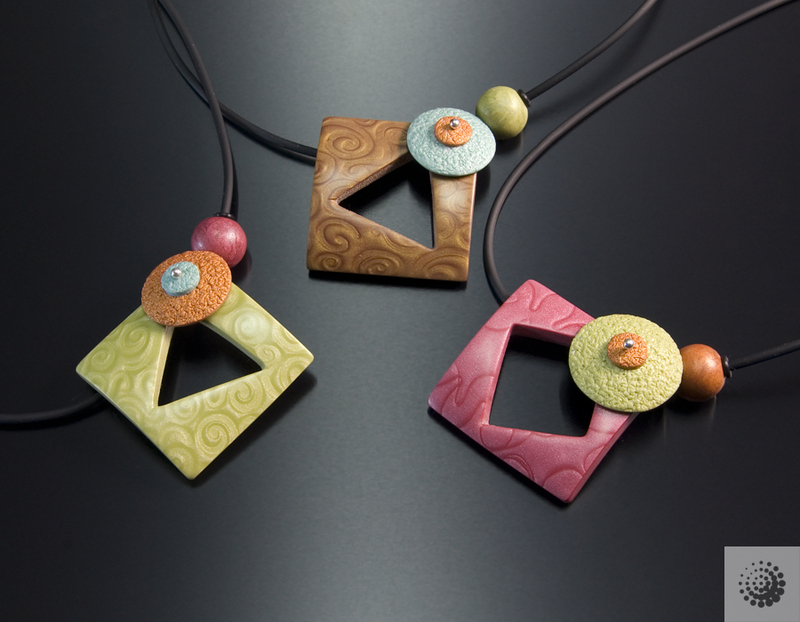 Some of the clasp ideas I show in class can double as a pendant or the center piece of a necklace while a few others just are simple clasps made of Polymer. This gives you full control over your jewelry design with no compromises regarding color and style. 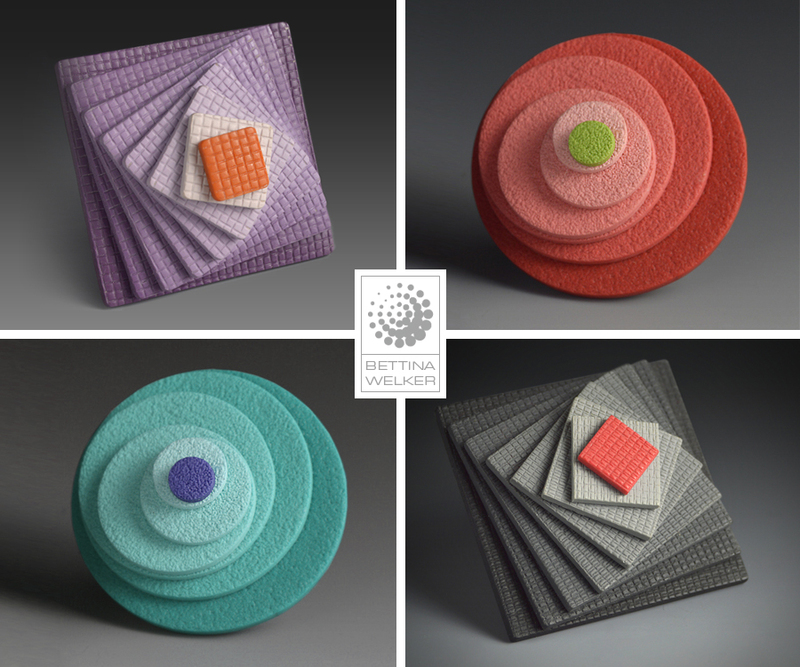 This full-day class is all about playing with shape, color, texture, pattern, dimension and movement. 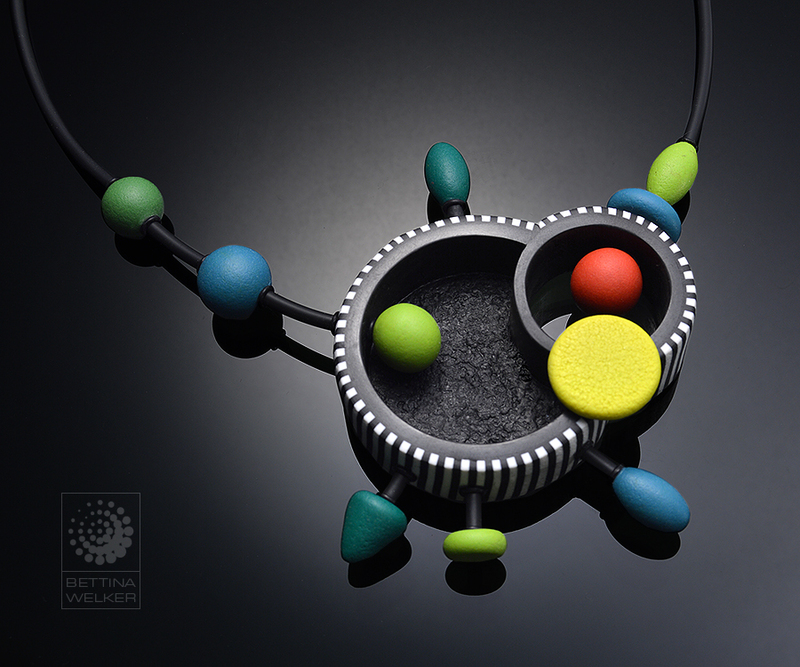 After we create various individual elements, all the pieces will be „riveted“ together to a playful, swiveling necklace. This class is all about playing with colors, texture and dimension. You will learn how to build, shape and color the different parts of the pendant and then I will show you how to bring it all together. The necklace is finished with a sliding clasp that fits nicely into the design and which allows the wearer to adjust the length of the necklace to their liking. A playful project that let’s teaches you a lot about the combination of hollow shapes, color and inventive construction principles. 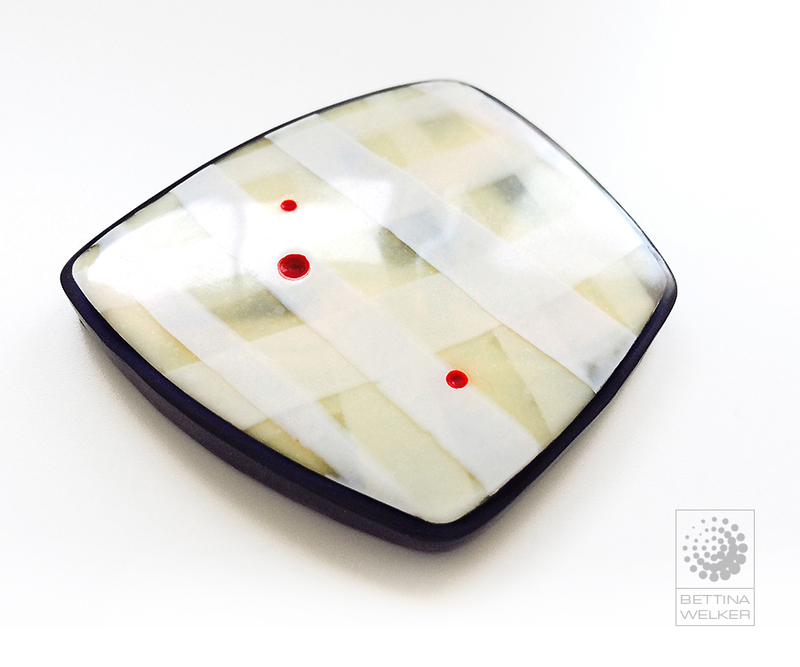 The very special feature of this project is the “invisible” toggle clasp on the front. You can‘t actually see the clasp as it is part of the design. In this full-day class you will learn how to build this charming little lantern pendant. 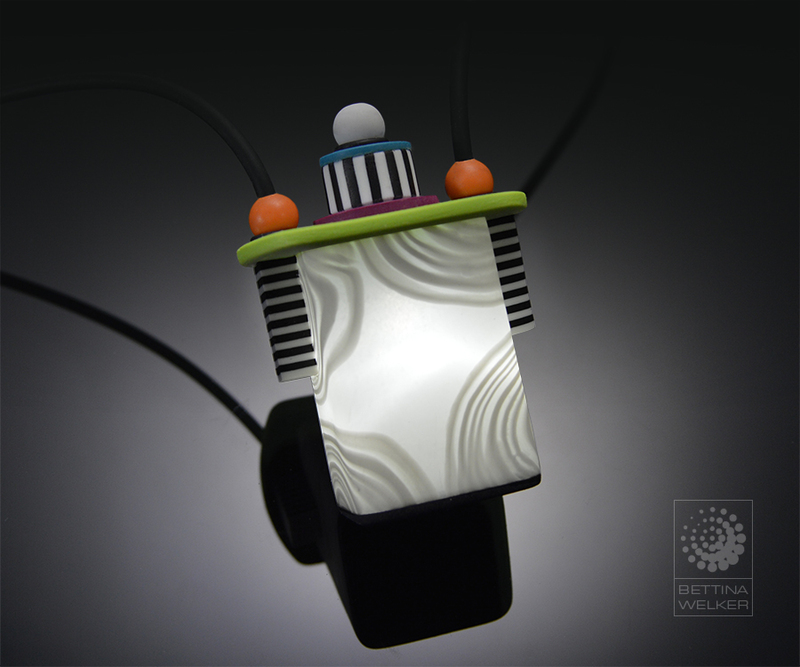 It has a built-in mini lightbulb that illuminates your pendant by simply turning the knob on top of the piece. This bracelet is perfectly suited for a full-day class. Although it’s a rather easy project, this bracelet is still a lot of fun to make. Simple shapes, bold colors and a hidden clasp make this bracelet a real eye catcher. 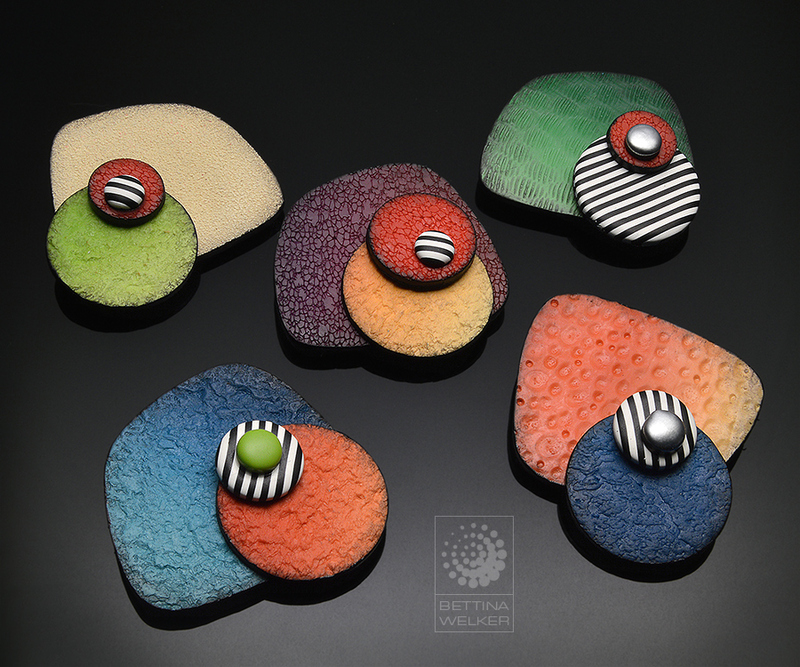 A nice interplay between color, shape, texture and dimension. This is an advanced class and the students should be familiar with conditioning, color mixing, skinner blends and basic bracelet construction (e.g. simple bangles). 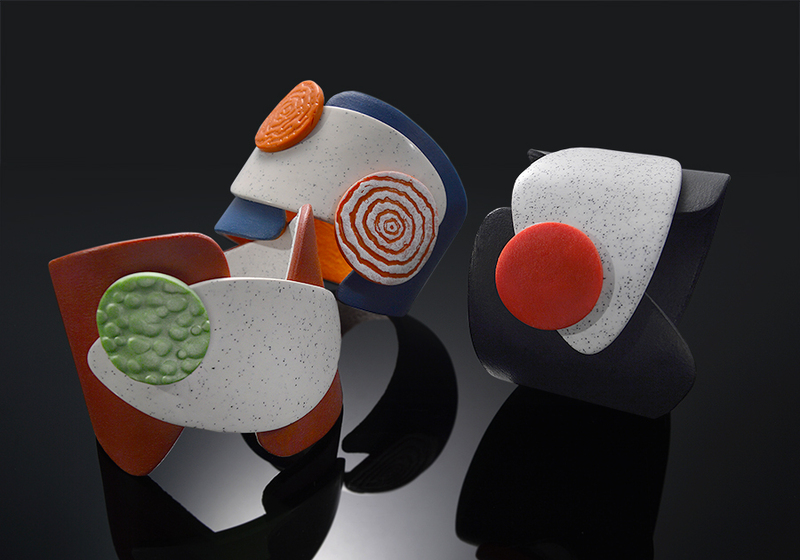 This half-day class is all about playing with shape, color, texture, pattern, dimension and movement. 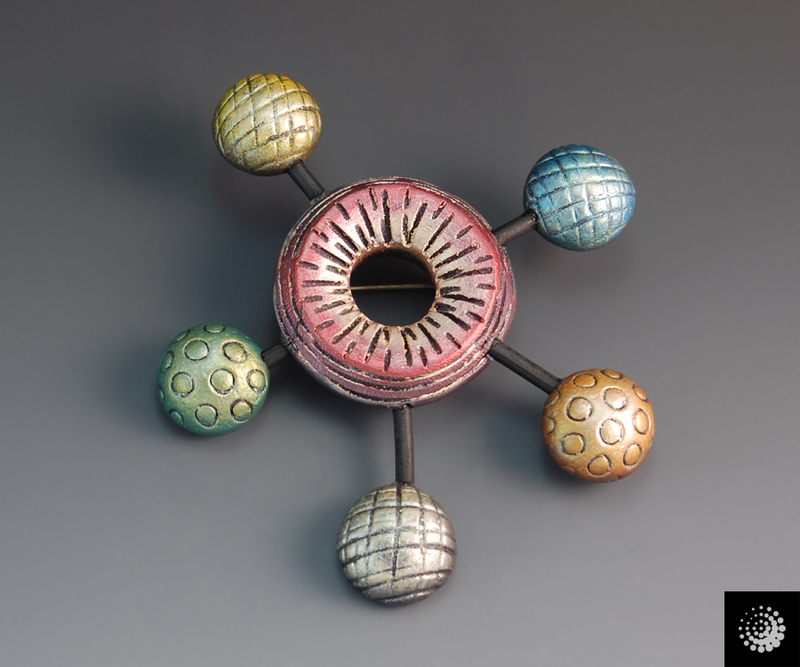 After we create various individual elements, all the pieces will be „riveted“ together to a playful, swiveling pin or pendant. 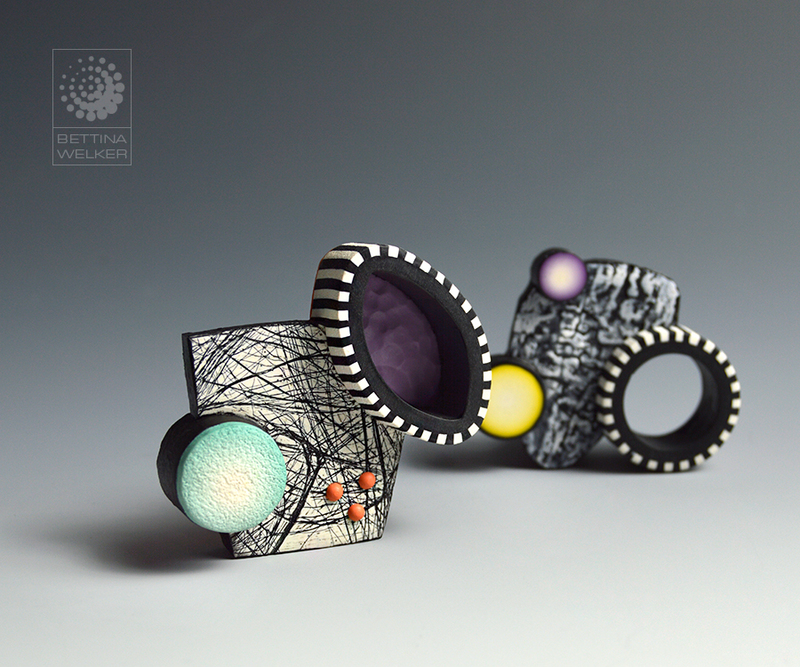 This half-day class is all about playing with shape, color, texture, pattern and dimension. Various hollow, solid and see-trough elements interact on different levels to raise the piece into the third dimension. 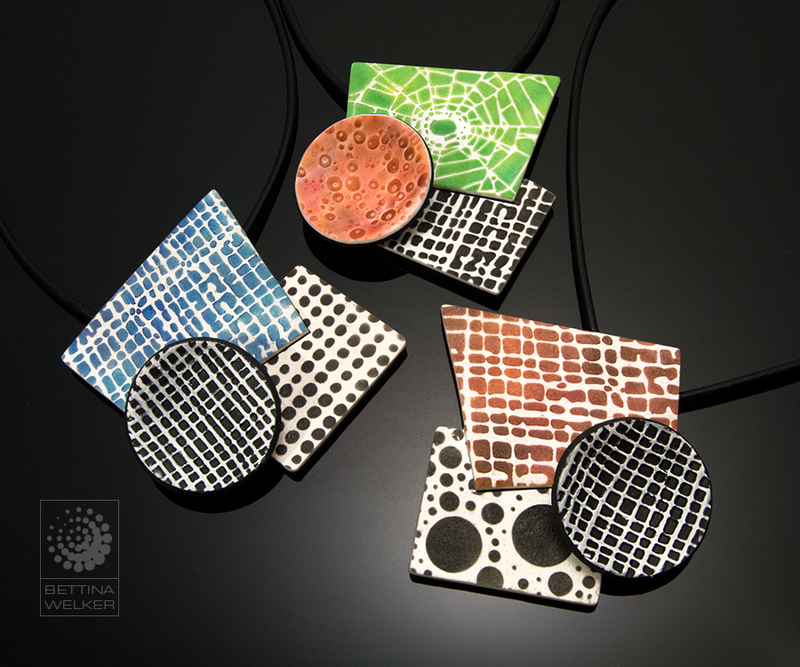 These graphical bold but still playful pieces can be worn as a pin or a pendant. These stud earrings feature a very light and distinct thread-like pattern and a light texture in the black parts counterparted by the raised colored stripes that also introduce a hint of color to the piece. Art Deco is a design style which first appeared in France in the 1920s and which was flourishing internationally in the 1930s and 40s and it affected many areas of design. The style is characterized by rich colors, bold geometric shapes and abundant ornamentation. This class gives you plenty of room for playing around with shapes, design and colors. A very simple yet graphical strong little project which works well in any color scheme, especially if complementary colors are used. This class is especially suitable for not so advanced clayers. 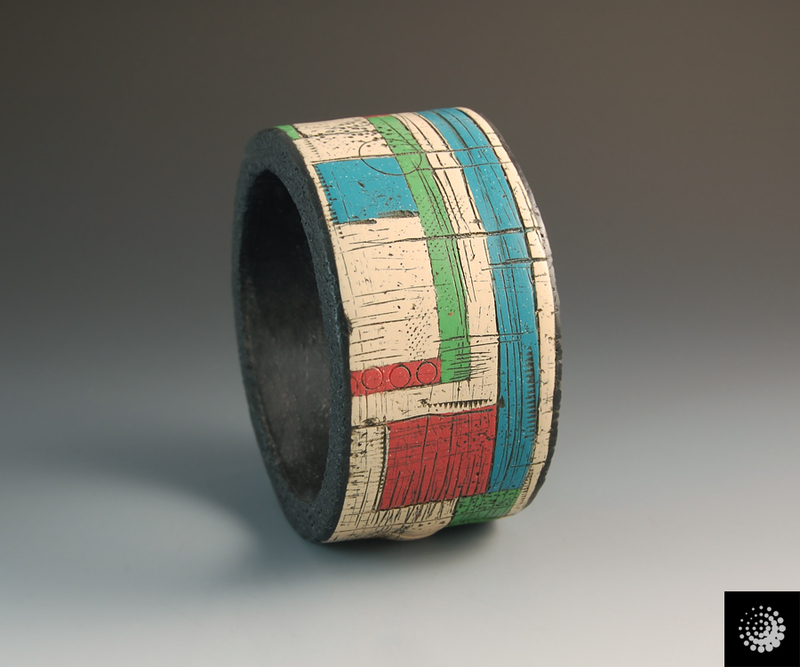 No need to hide your scrap clay as cores of beads or bracelets anymore. 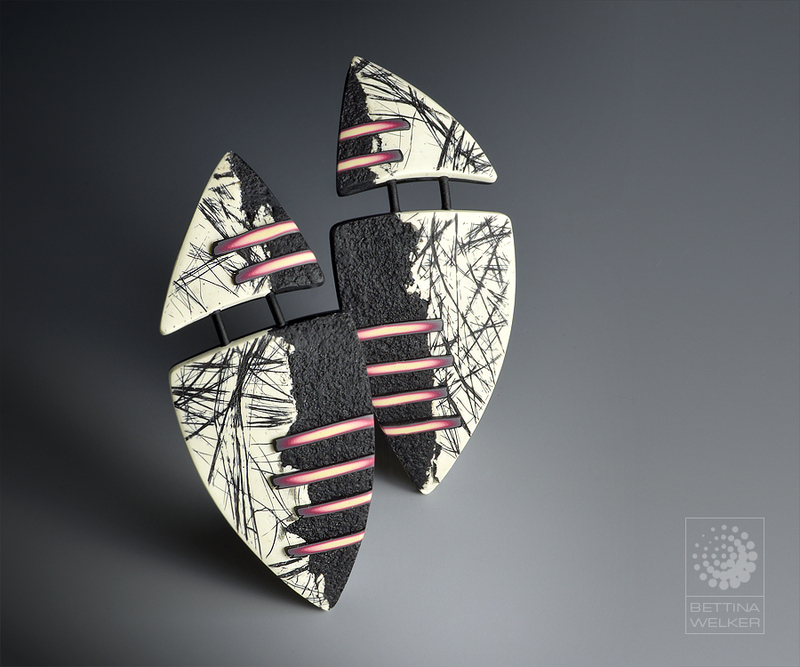 This class will show new ways to process your valuable scraps in a creative way. 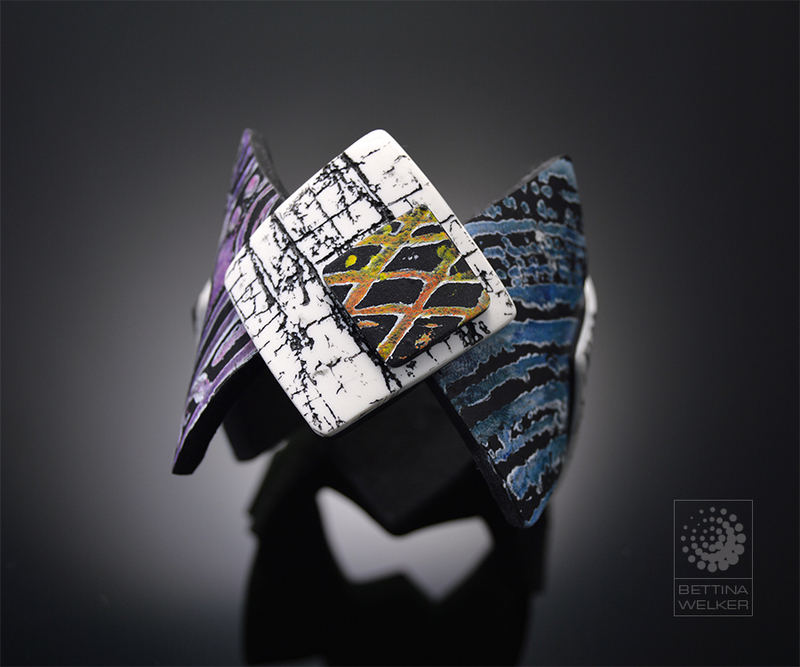 By using carving tools, several paints and waxes, combined with your very own creativity, the unattractive grey lump will transform into sophisticated and appealing pieces of jewelry. This class uses the mica shift or ghost image technique. The very special feature of this project is the toggle clasp on the front. You can‘t actually see the clasp as it is part of the design. This class is all about translucency, depth and the third dimension. The use of white and translucent polymer for the decor layer allows you to actually look into the piece. We will create a few different decor sheets which you can use to create your very own pin or pendant.